These windows have two sashes that slide vertically, and easily tilt so you can clean without having to remove screens. These windows have a fixed (not-moving) sash, and a left or right sash that slides horizontally. There’s also a triple-sash configuration that allows two operational sashes, with the set sash in the center. Tilt latches allow you to easily remove the operating sash for quick cleaning. 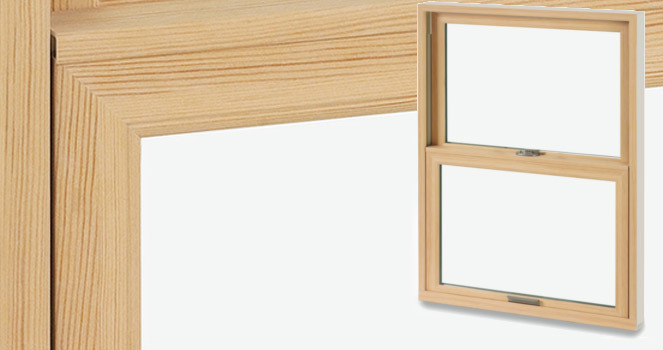 This window is hinged on just one side and can be opened using a crank as far as 90 degrees. 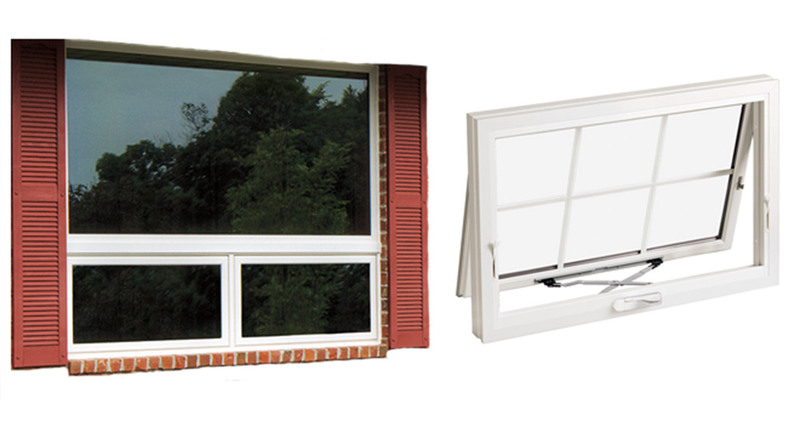 There are two types of hinges to choose from for most casement windows near Portland, Oregon. The EasyWash hinge gives you an opening for easy cleaning on the hinged side of the sash, while the ClearView hinge keeps the sash tight to the frame to maximize your view. Casements are also the most energy-efficient window because the locking system pulls the sash tight at several points, creating a strong seal like a refrigerator. Good for bathrooms, living rooms, bedrooms and in combination with larger windows. Windows hinged at the top and can swing out for ventilation. Good for bathrooms or to combine with larger windows. Fixed windows with no moving parts. Perfect for custom situations, because they can be created in the geometric shapes you see above. Good for entry ways, living rooms and in combination with larger windows. 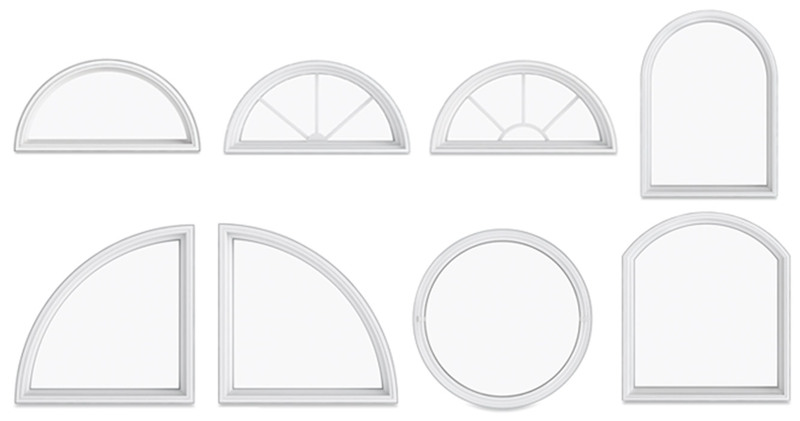 Windows with a flat bottom part and a top that is arched or circular. 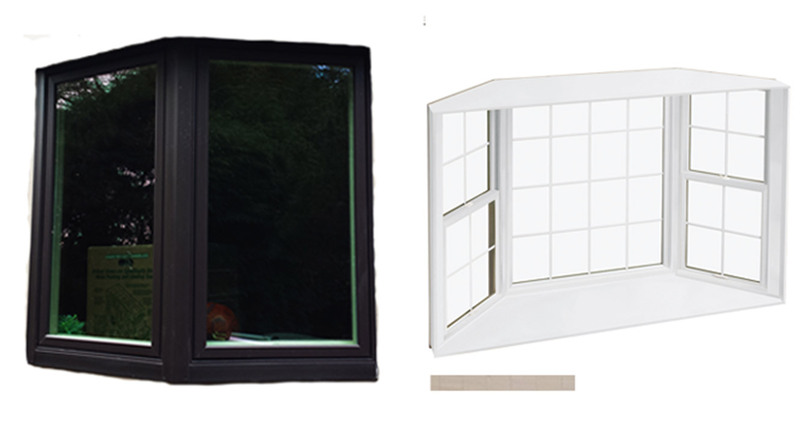 Often used in entry ways, living rooms and combines with large windows or doors. 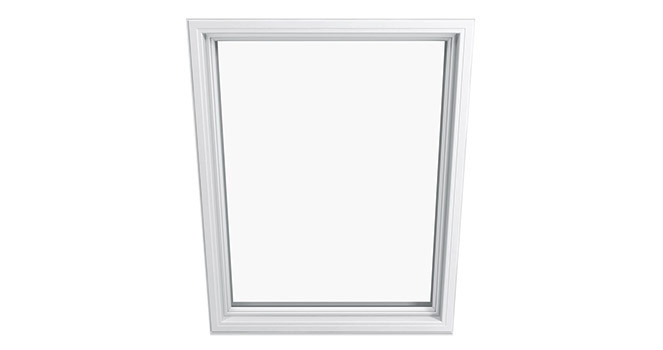 Large center window that is either fixed or operational with a double-hung or casement window on either side, set at either a 30º or 40º angle. 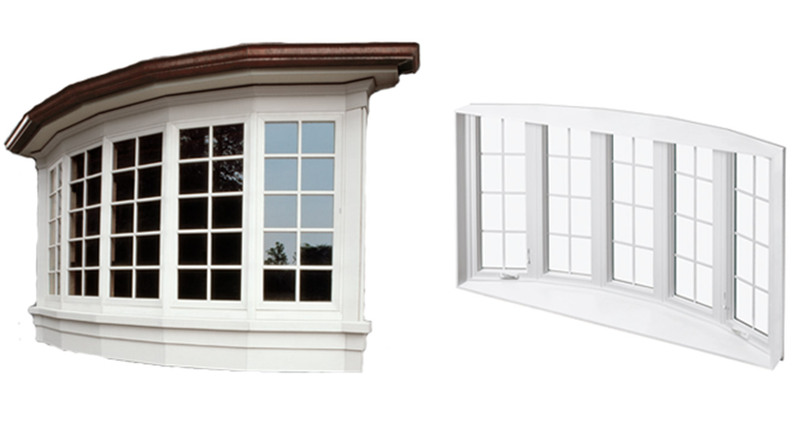 Bay windows for Portland OR, Milwaukie OR and Tigard OR are incredibly popular. 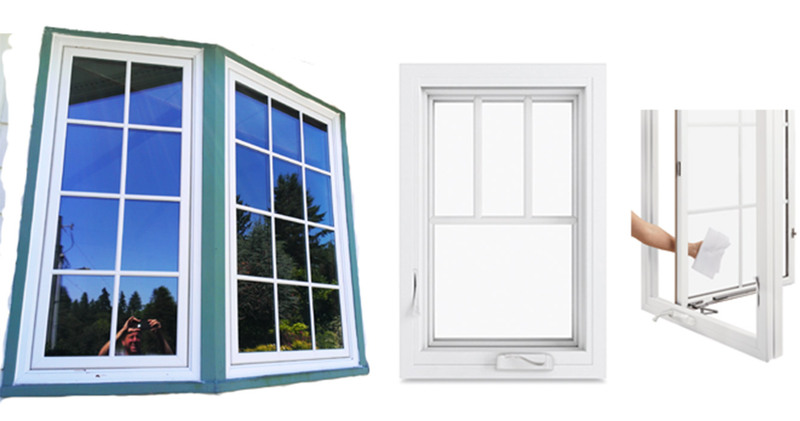 Either 4, 5, or 6 casement windows combined to create a radius. Infinity’s beautiful finish is available in 6 different colors, with a durable acrylic coating that guarantees it’ll look good for a long time without scratching, denting, or fading. 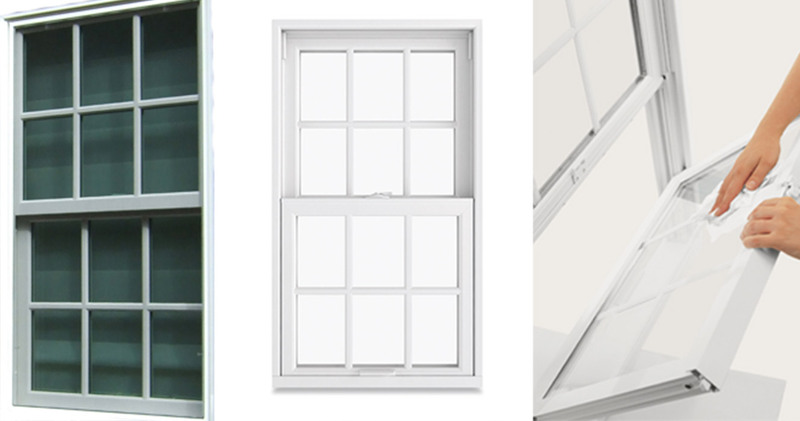 Infinity offers 3 different interior finishes to customize your windows in Portland, Oregon or the surrounding areas. The interior and exterior finishes are also paintable. The Everwood interior looks, feels, stains, and paints like wood, but won’t rot, warp, or require regular maintenance like a real wood window. 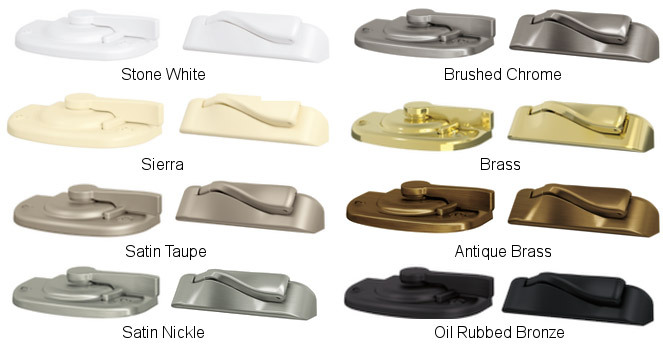 Add the perfect touch to your new Oregon windows with your choice of 8 different hardware finishes. Infinity uses high-tech glass to keep your home comfortable and help you save on energy costs. There are three different types of energy-efficient glass to choose from. 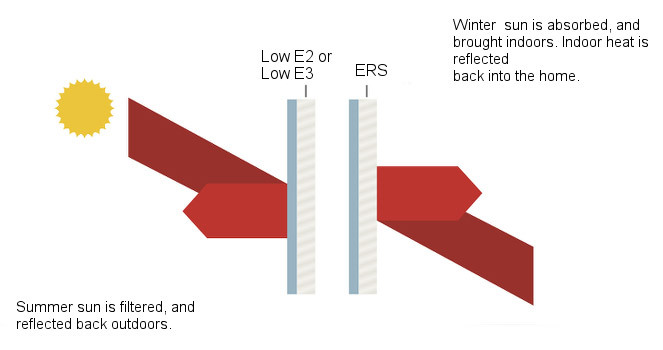 Low E2: Low E2 is a coating with two layers of silver that reflects the heat back to its source, keeping the summer heat out, and the winter heat in. Low E2 also blocks 84% of UV rays that fade your valuable possessions. A great choice for glass replacement in Vancouver and Portland. Low E3: This top-performance coating adds a third layer of silver to increase energy-efficiency. With Low E3, 95% of damaging UV rays are blocked from entering your home. Low E3 glass will give you an energy rebate of $1.75 a square foot with Energy Trust. 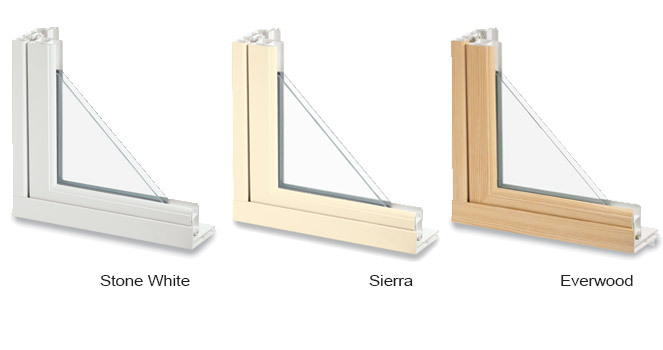 This is a truly efficient, safe, cost-effective choice for glass replacement in Vancouver and Portland. 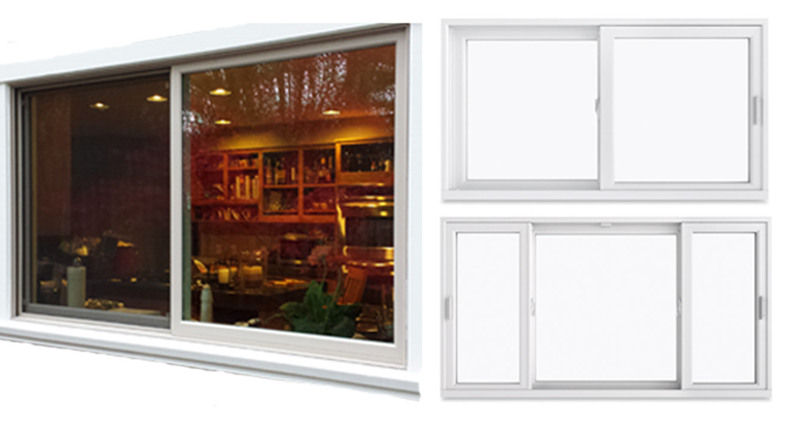 Low E3/ERS: The latest glass option gives you triple-pane performance with a double pane window. Low E3/ERS combines the Low E3 coating with another coating inside that immediately reflects heat back into the room, keeping your home even more comfortable. Low E3/ERS glass will give you an energy rebate of $4 a square foot with Energy Trust. This gives you the highest performance for glass replacement in Vancouver and Portland. Tempered Glass: Tempered glass is baked at high heat to increase the strength and help prevent breakage. If it does break, tempered glass shatters into tiny pieces to avoid dangerous, jagged pieces of glass that might cut you. This option is ideal for windows that are close to the floor, less than 5 feet from a flight of stairs and 60” from the floor, 60” from a shower or tub, or 24” from a door. 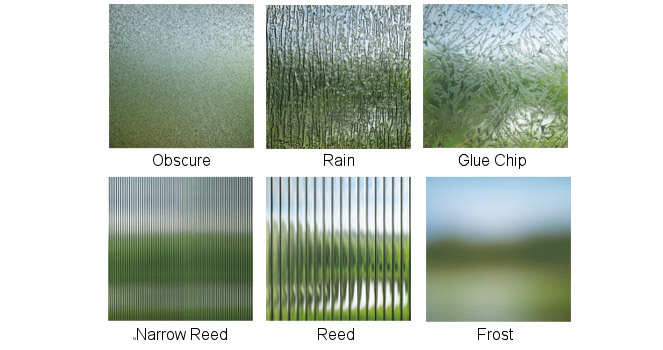 Obscure Glass: Obscure glass allows light to pass through, but eliminates visibility to protect your privacy. Obscure glass is most commonly used in bathroom. (See below for pictures). Sound Transmission Class & Outdoor – Indoor Transmission Class (STC/OITC) Glass: STC/OITC glass is a great option if you’re concerned about noise outside. Thicker panes of glass reduce noise by reflecting the energy of the sound waves away from your home. Decorative glass allows you to have privacy with style. 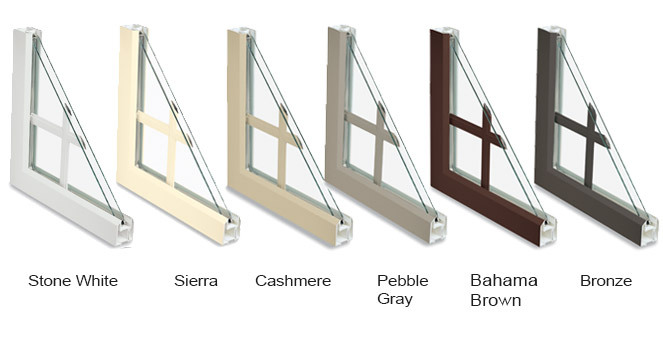 You can customize your window with 6 different options to create your beautiful and private window. Divided lites are available in the patterns above, or you can choose how many lites you want. Simulated Divided Light (SDL): SDL gives you an authentic divided light look with bars of Ultrex fiberglass permanently adhered to the outside of the glass, with a spacer bar in-between the glass. 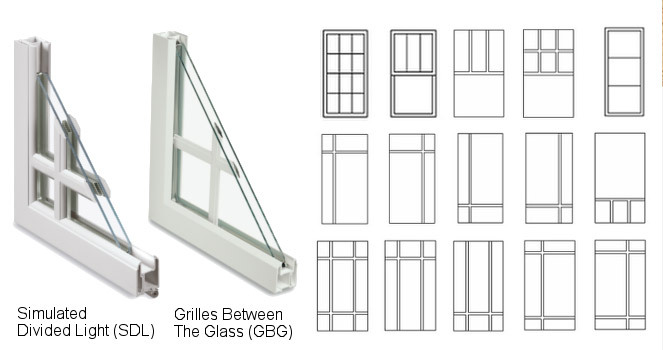 Grilles Between The Glass (GBG): Grilles are permanently installed between the two panes of glass to give you the look of divided lites, while making it easy to clean your windows.